Our Black Paw Studio Newf beautifully enhanced with Zentangle patterns. 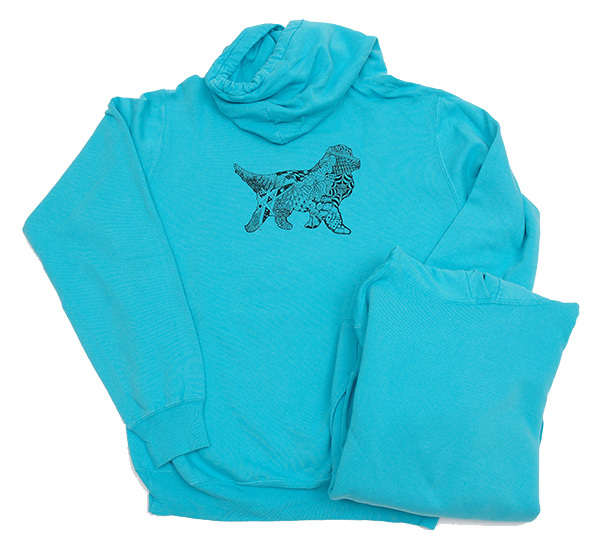 This unisex Hoodie is 80% cotton/20% polyester - 100% cotton face, pigment dyed - is soft and comfortable from day one. Image printed in Black on back, below hood.